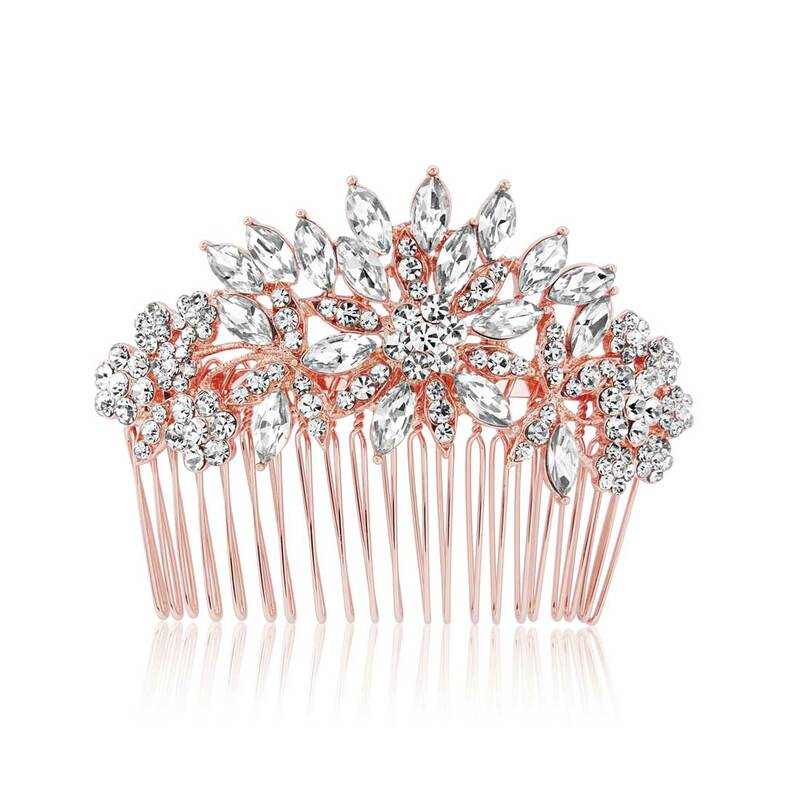 Inspired by the Hollywood Starlets, this fabulous rose gold crystal hair comb incorporates on-trend metallics with vintage elegance. Glisten in gorgeous blush hues with our Treasure of Rose Gold Hair Comb. 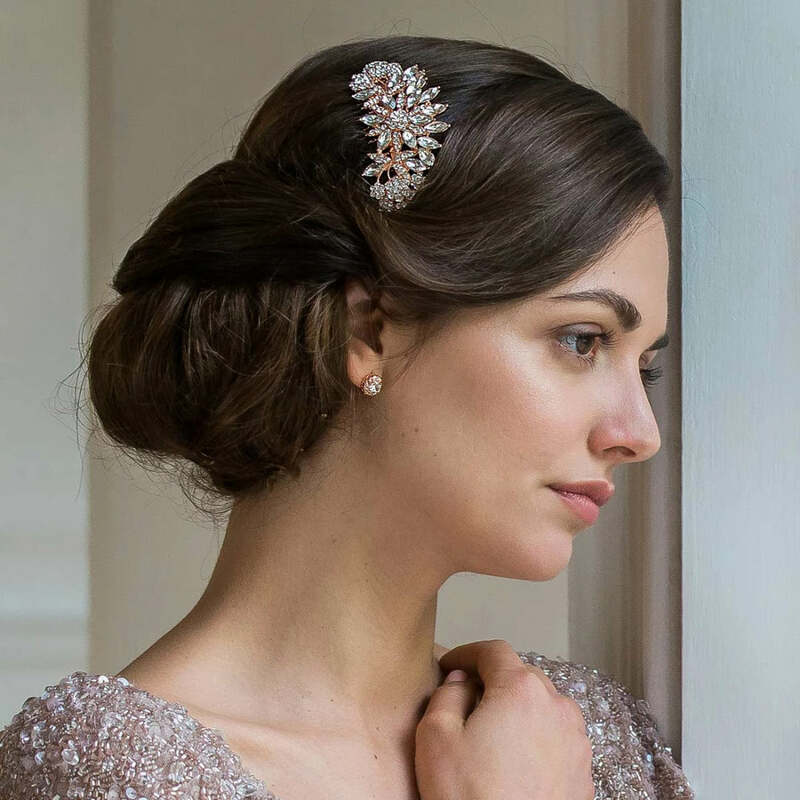 The epitome of 1940s Hollywood glamour, this exquisite hair accessory features a flourish of marquise Austrian crystals encased in a rose gold tone setting to adorn your hairstyle with the most mesmerising sparkle. A beautiful wedding hair comb for brides who adore a classic vintage look, its timeless design complements practically every style whether set in a romantic side chignon, half-up tumbling waves or a chic pleat. Play up its 1940s style and coordinate Treasure of Rose Gold Hair Comb with a pair of studs and a simple bracelet for a look worthy of the leading lady in an old black and white movie.